Powerful electric pencil sharpener is designed for desktop use. HHC cutters offer 65 percent faster sharpening and six times longer life. Heavy-duty, QuietSharp motor operates quietly and stall-free under normal use as thermal overload protection increases motor life. Safety switch shuts motor off when the translucent, easy-to-clean shavings bin is removed. Tip Saver technology prevents oversharpening and extends pencil life. 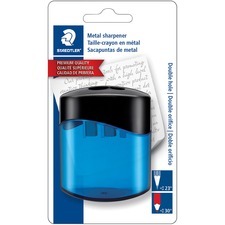 This Double-Hole All Metal Sharpener accepts both standard and oversized pencils. 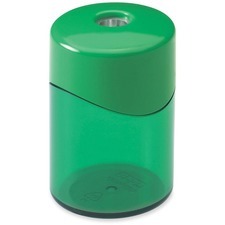 Easy to handle desk/pocket sharpener combines precision, economical manual sharpening with a stylish translucent plastic oval shavings container. Its screw-on top prevents messy spills. 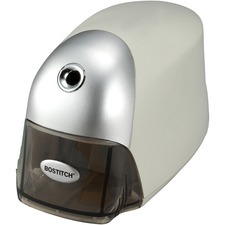 Fast, powerful electric pencil sharpener is designed for heavy-duty commercial use. XHC2 cutters offer 75 percent faster sharpening and 12 times longer life. Heavy-duty, QuietSharp fan-cooled motor operates quietly and stall-free under normal use as thermal overload protection increases motor life. MagnaSafe tamperproof safety switch shuts motor off when the large, easy-to-clean shavings bin is removed. Versatile, easy-turn, pencil selector dial provides six different hole sizes to choose from. Tip Saver technology prevents oversharpening and extends pencil life. Oversized, die-cast metal base with suction cup feet deliver extra stability. 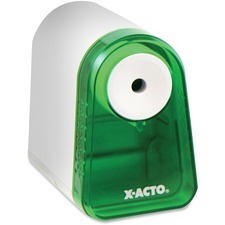 Manual pencil sharpener with KS Vacuum Mount is easy to use and suctions onto nonporous horizontal surfaces. Flip lever to secure to desk. Steel receptacle with locking guide offers eight pencil sizes (from largest to smallest: 15/32, 7/16, 3/8, 11/32, 5/16, 9/32, 1/4 and 7/32). Design also includes X-Acto dual hardened helical cutters, a steel shavings receptacle and die-cast metal base. 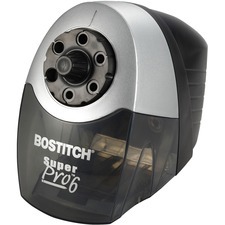 Easy-to-use pencil sharpener features a large, powerful motor to consistently sharpen your wooden pencils. Pencil Saver technology prevents you from accidently oversharpening pencils to prevent wasteful use. 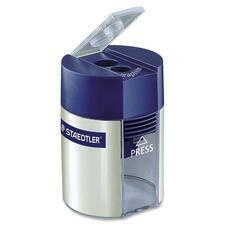 Transparent shavings receptacle lets you quickly see the fill level to avoid overfilling. Battery-powered design allows convenient, on-the-go use. 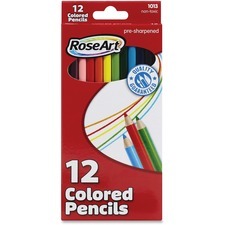 Colored pencils pack features 24 unique and different colors to make any art project bright and fun. Durable construction ensures long-lasting use and prevents premature breaking under pressure. Pre-sharpened tips allow immediate use directly out of the box. Colored pencils are perfect for use at home, school and more. Pencil sharpener features a single hole, a contemporary Rhondo design and a large shavings receptacle. Made for standard pencils only. Blade is honed precision-steel. Pencil sharpener meets or exceeds standard for RoHS compliance for lead, mercury, bromine, chrome and cadmium. 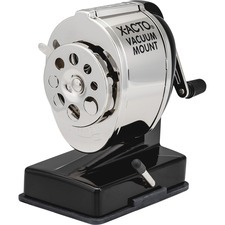 Double-hole tub pencil sharpener is designed for use with standard-size, black lead pencils up to 8.2mm, and thick-black lead and colored pencils up to 10.2mm. Die-cast zinc sharpener insert ensures stability, precision and long service life. Hinged cover prevents shavings from spilling. Lid with safety lock avoids accidental opening. Plastic shavings container is round and transparent. 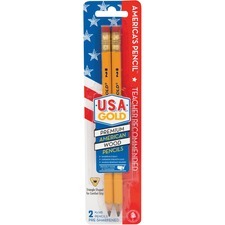 Jumbo USA Gold Natural Pencils are triangle-shaped so they're easy to grip and are made from American cedar from sustained yield forests. These oversized premium pencils are perfect for young children learning to write. Students can confidently write neatly and smoothly, knowing that superior-strength bonded graphite cores won't break easily under pressure or jam-up pencil sharpeners. No. 2 HB lead is great for school or at home use. Latex-free erasers resist smudging.